For those who love natural stone, a popular choice is travertine floors. Travertine is a calcium based stone which can have many different looks. Sometimes we see more rugged and rustic with welcoming old world charm but we also see it with an elegant high polish. Most often, we see travertine from the factory come with a “semi polish” meaning it’s not highly polished but also not honed (matte finish). Over time travertine can become dull-looking, etched, chipped, or have an accumulation of cleaner residue built up on the surface giving it a false sheen. If any of these are the case don’t replace it! SacSurfacePro specializes in travertine cleaning in Sacramento and can restore your floor to make it look like new again. Out of all the calcium stones, travertine is the most likely to develop holes in the tile surface. There are two types of travertine- filled and unfilled. Unfilled is made to look this way and is more of the rugged, old world look we mentioned above. Even filled travertine will have the factory fill pop out as travertine has naturally occurring holes throughout. The more holes that are present, the harder it is to keep your floor looking clean as these holes will get filled with dirt and it’s almost impossible to remove this without the proper equipment. We can take care of these holes with traverfill which is a concrete based filler made specifically for this type of stone. 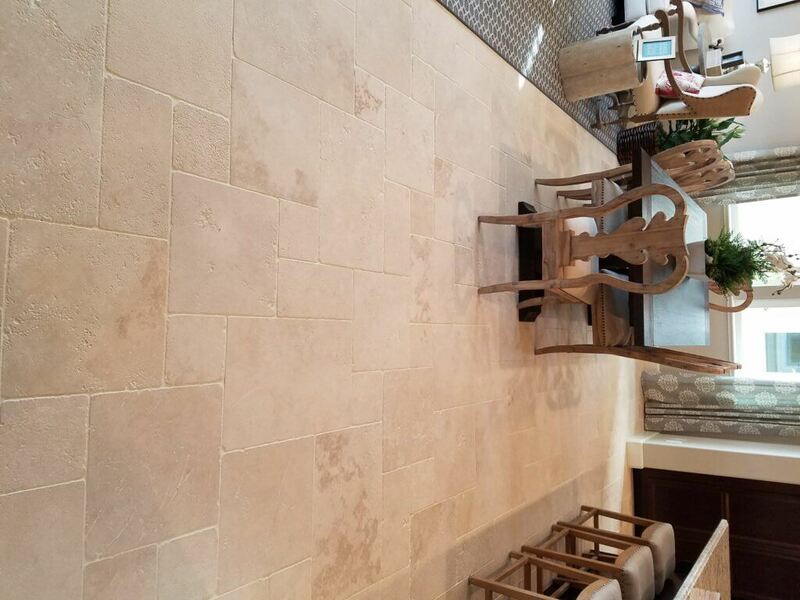 Often when travertine cleaning in Sacramento we are asked to clean 10 year old travertine floors which have never been professionally cleaned. Most of the time we find residue from cleaner build up creating a false sheen on the surface of the travertine. Once cleaned the look is somewhat changed because the stone has gradually changed to its current state. We can add a little more sheen or make it more honed (soft matte look) depending on your preference. Another thing we encounter with older travertine which has not been professionally cleaned regularly is surface inconsistency even after we clean the tile and grout. Cleaning will remove the dirt and soil but will not take care of these inconsistencies. We always recommend our clients buff travertine if it has been many years since it has been cleaned. The buffing will remove the inconsistencies (not the the natural occurring mineral changes) and leave you with a more uniform look. Travertine should be professionally cleaned every 1-3 years depending on the amount of abuse it takes on a regular basis. If cleaned regularly the odds are increased it will clean up better than if you wait years to address it. We do recommend pre-vacuuming the floor to remove large particles prior to our arrival. After cleaning we seal the travertine with HydroShield to increase the stain resistance. Travertine is porous and can quickly absorb staining agents which can be permanent. We have used HydroShield to seal travertine since 2005 and this high quality sealer will help keep your stone floors looking like new as long as the stone and grout is cleaned and sealed regularly. 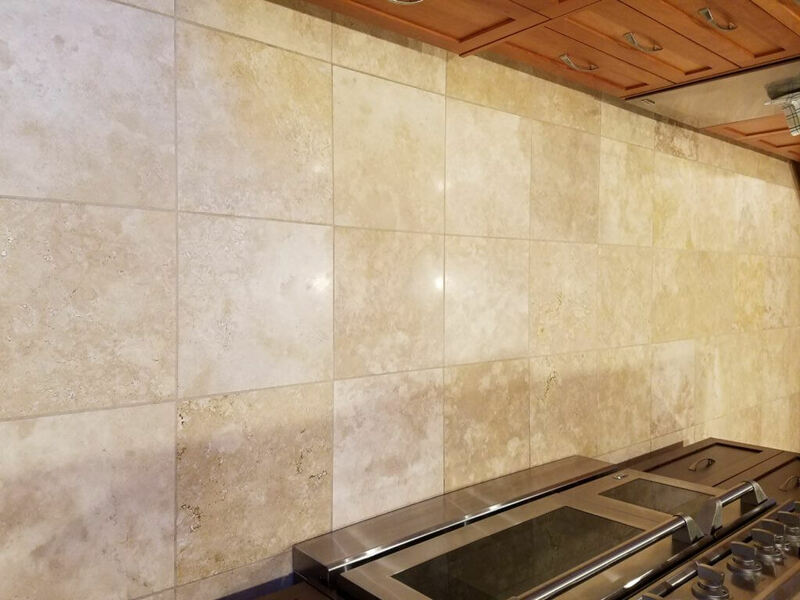 If you’re looking for a stone cleaning and sealing specialist, choose SacSurfacePro for travertine sealing in Sacramento. Note: On travertine with lots of coloring we do offer a sealer which will enhance the natural coloring within the stone. It will keep the natural look and will not make the stone look “wet”.